Please join us and the Community Action Partnership of Orange County (CAPOC) in launching the 9th annual UCI Book Drive. 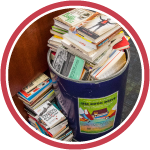 Beginning February 1 through March 28, we will be collecting new and like-new books to address the literacy needs of our local community. The Community Action Partnership of Orange County runs two family resource centers designed to strengthen families and the communities that surround them. The centers provide an environment that helps families become safe and stable. 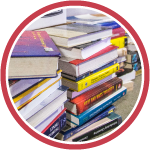 These books will be used as educational and recreational resources in assisting families in need. Thank you for your support of this worthwhile community project. For a map of the drop off locations, please click here. 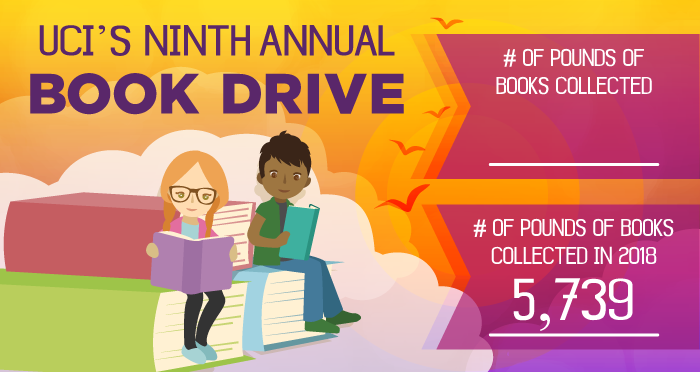 In addition to participating in this book drive, there are many other ways to get involved. The Community Action Partnership of Orange County is always willing to receive donations of goods, time, and money. Volunteers to work their various programs are also welcome. Let's show our Anteater pride and let them know how we can help! For more information please contact Julianna Bayley at (949) 824-5059 or email engage@pts.uci.edu.